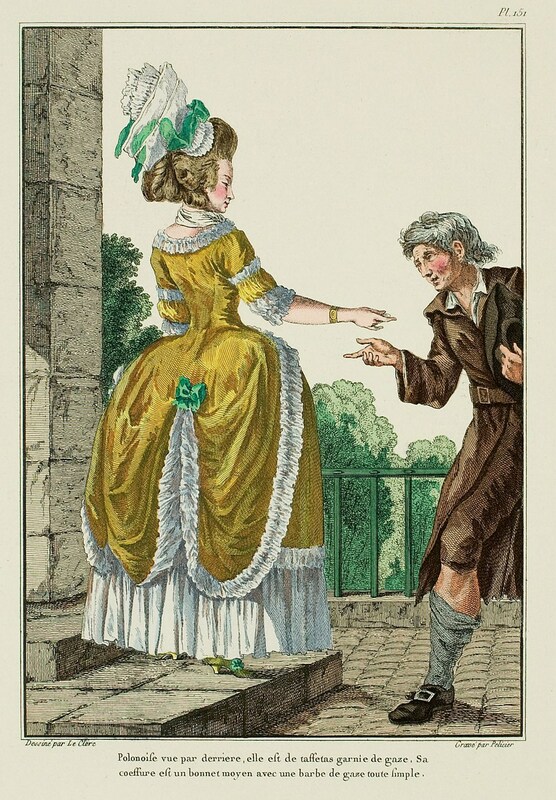 Gown trims are an essential object to an outfit, but what must without a doubt interest is changing them with ease, whether relatively to the design or because it is the part of the gown which suffers the most by usage. 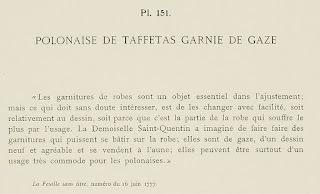 The Demoiselle Saint-Quentin has conceived of making trims which may be basted on the gown: they are of gauze, of a new and agreeable design, and are sold by the ell; they can be over-all a very convenient thing for polonaises. 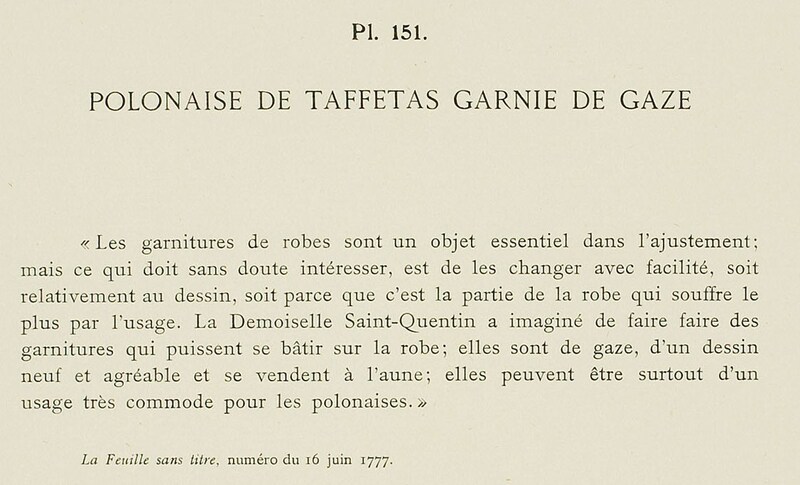 - La Feuille sans titre [the Paper Without a Title], 16 June 1777. "Here's a dime. Why don't you invest in some sock garters and a better-fitting bathrobe?"